Tenzin Gyatso - Trento 2013 01" by Niccolò Caranti. via Wikimedia Commons. "Aung San Suu Kyi (December 2011). Licensed under Public Domain via Wikimedia Commons. The Dalai Lama has joined others in urging Myanmar leader Aung San Suu Kyi to halt violence against the predominantly-Muslim Rohingya ethnic group. 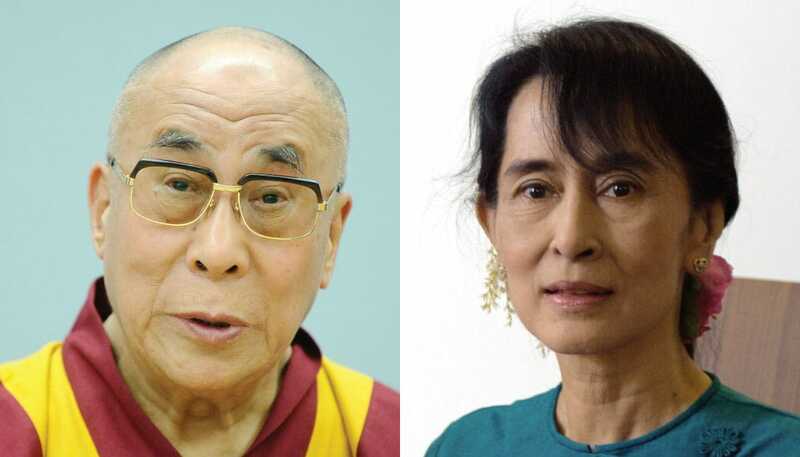 His Holiness the Dalai Lama has reportedly sent a letter to Myanmar leader Aung San Suu Kyi. According to VOA News, the Dalai Lama urged his fellow Nobel peace laureate to end the alleged ethnic cleansing of the Rohingya ethnic group in Myanmar. “May I take the liberty of writing to you once again to tell you how dismayed I am by the distressing circumstances in which the situation seems to have deteriorated further,” His Holiness wrote. 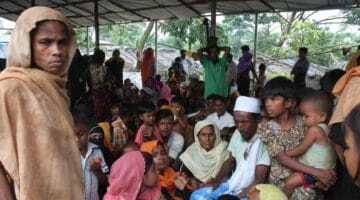 On August 25, militants from the predominantly Muslim Rohingya ethnic group attacked government forces. The military, which is predominantly Buddhist, responded swiftly. It is estimated that roughly 1,000 people have been killed in the alleged massacres and arson attacks that ensued, which have been called ethnic cleansing. At least 270,000 people have fled Rakhine State since August 25, crossing the border to Bangladesh, according to the United Nations. An estimated 20,000 people are crossing the border into Bangladesh per a day. Many have drowned attempting to leave Myanmar by boat. A Rohingya refugee family lives on the side of the road without shelter in Bangladesh. Photo © UNHCR/Adam Dean. Other leaders have also publicly condemned the violence against the Rohingya minority, urging Suu Kyi to speak out, including Nobel laureates Malala Yousafzai and Archbishop Desmond Tutu. These people have nothing, no recourse, no justice. They tell me that they are grateful that Nepal is not hostile to them. But Nepal won’t give them aid, as its struggles are so deep and they cannot support Rohingyas…or really their own. The UN has withdrawn support and they are an abandoned people. Throughout, I returned to my practice to be with their plight. I cannot imagine how deep the sadness to see their people systematically murdered, the country of their birth being cruelly purged of their people. As the CBC reports, Suu Kyi’s office said Wednesday that she will not attend the upcoming United Nations General Assembly due to the Rohingya crisis. She is expected to address the nation regarding the Rohingya crisis next Tuesday. UPDATE: On September 19, Aung San Suu Kyi spoke in a televised public address in which she addressed the Rohingya crisis in Myanmar. She stated that she is “deeply concerned” about those caught in the conflict, but stated Myanmar’s government needed time to investigate ”what the real problems are” in Rakhine state.